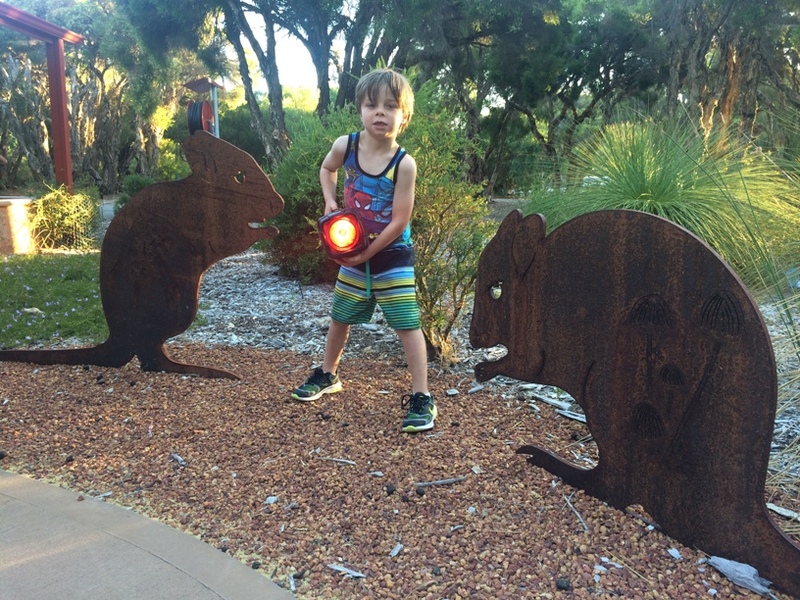 The critically endangered Woylie (also known as the brush-tailed bettong) is the star of Whiteman Park's Nocturnal Woylie Walks held on Friday nights September to May at the Woodland Reserve Interpretive Centre, with special Kids Woylie Walks during the school holidays. 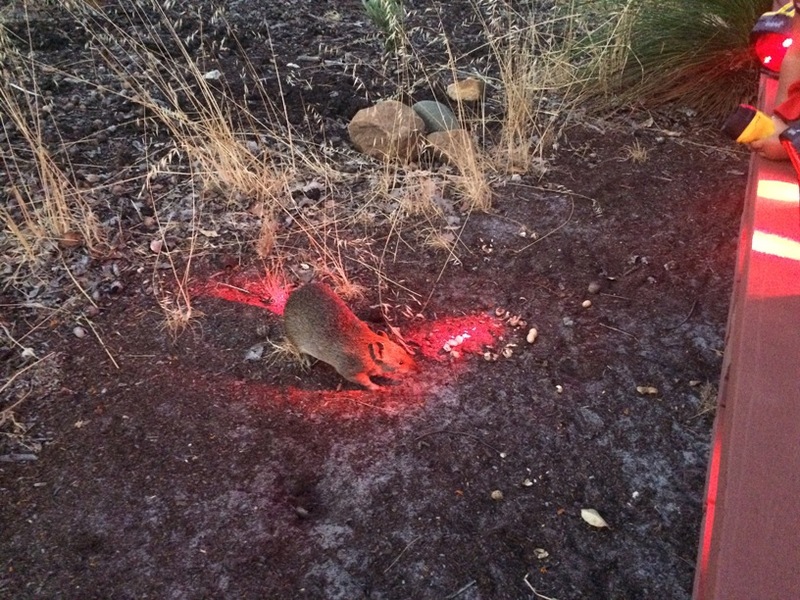 Woodland Reserve is a world class breeding facility for endangered WA fauna that includes the Woylie. 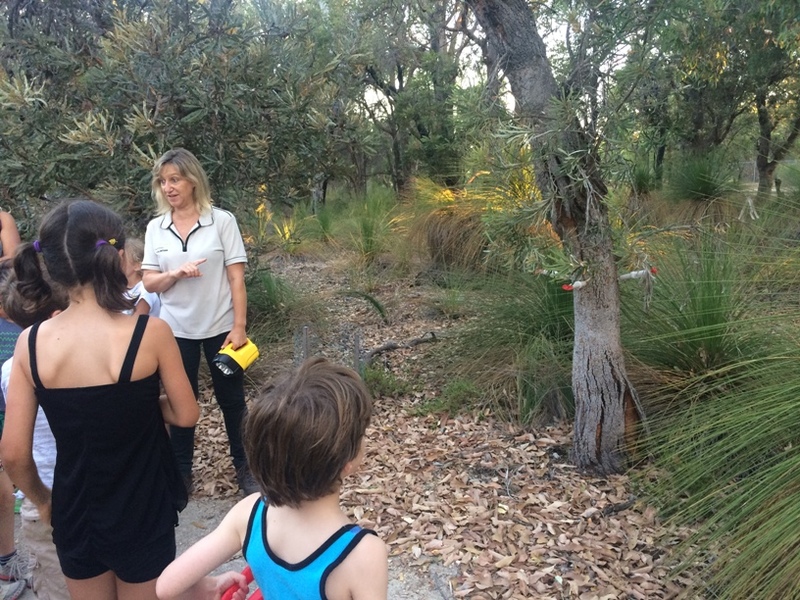 We enjoyed a special school holidays Kids Woylie Walk on a Wednesday night at the Woodland Reserve Interpretive Centre. The tour started with a quick talk about what we would be doing and seeing and then we got to meet a few of the animals that inhabit the Woodlands Reserve at Whiteman Park. 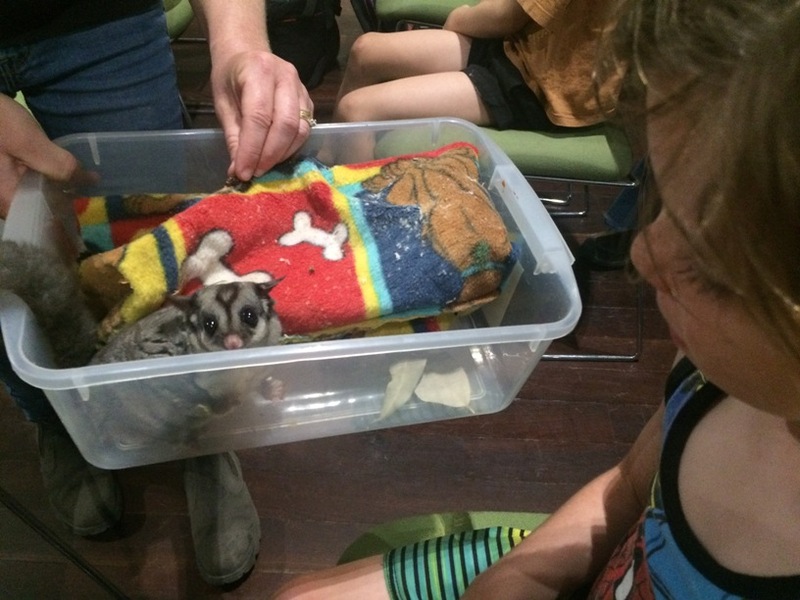 First up we met a gorgeous little sugar glider (below) and a brush tail possum, one of the guides bought him around to each child to see up close. 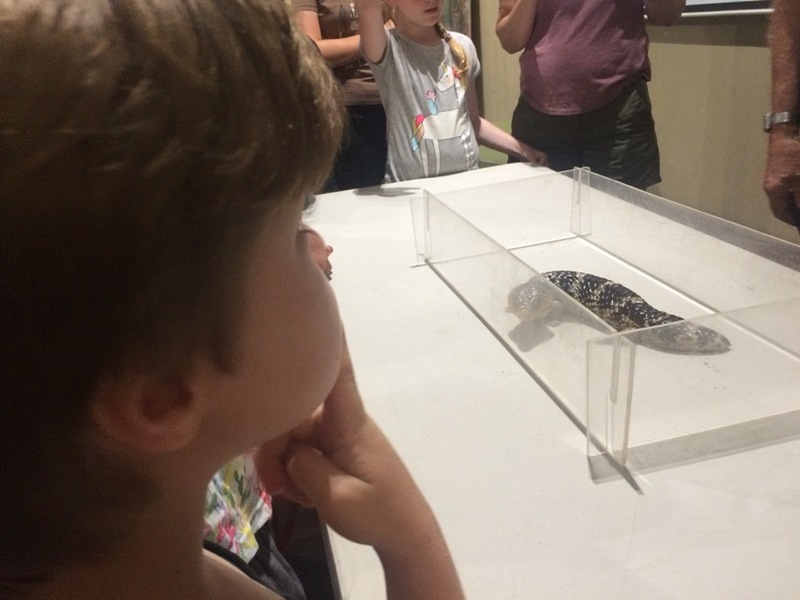 We also met a bob tail lizard and learned about the differences between a blue tongue and bob tail lizard. It was starting to get a little darker outside, so just before we started on our walk around the reserve we watched a short video with some information about the animals that could be found on the reserve, the large predator proof fence that protects the animals within the reserve, features of the reserve and also some safety information. Meeting the animals and watching the video was approximately 40-50mins. 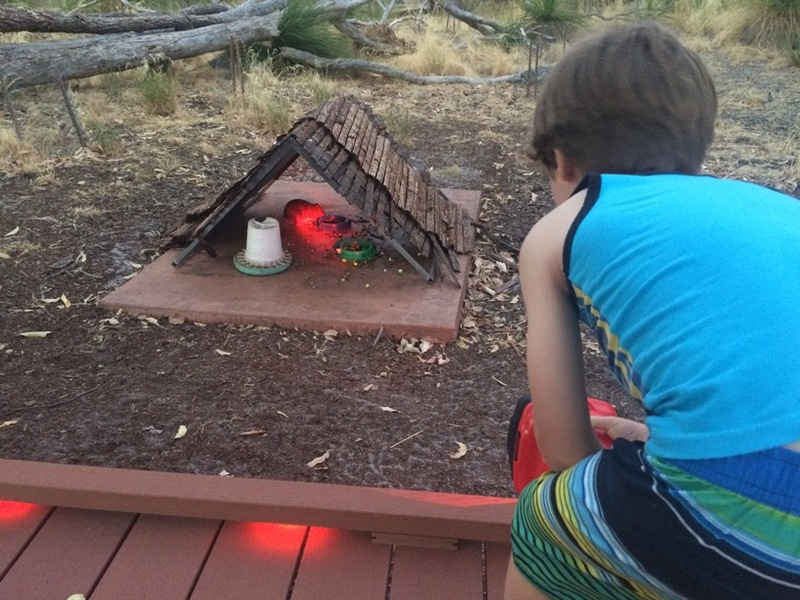 After the video it was time to grab our red light torch (provided), pop on some insect repellant (provided), have a quick visit to the toilet and gather ready to enter the Woodland Reserve to see the animals and all the reserve features we had just learned about. 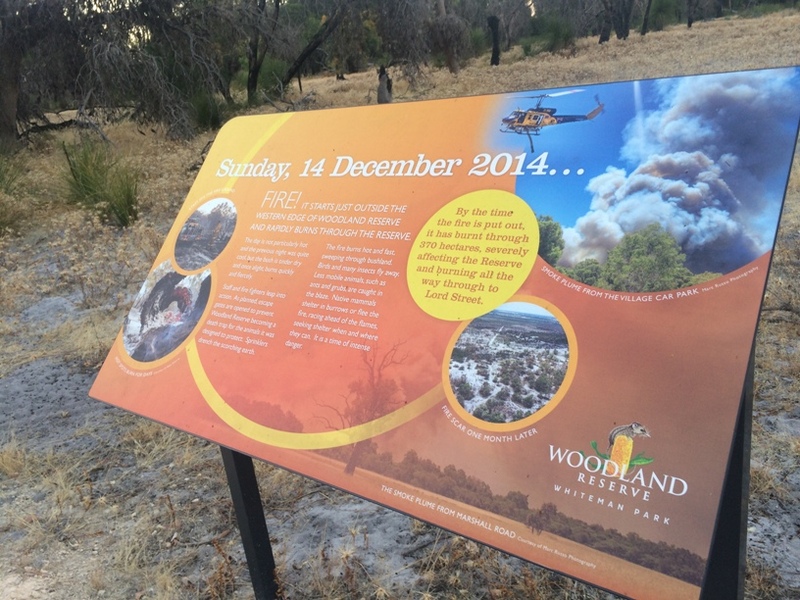 The entrance to the Woodland Reserve is approx 50m from the Woodland Reserve Interpretive Centre. Once we entered the Woodlands Reserve we were taken on a walk past the soft release enclosure (this is where quendas and woylies are first released before being released into the main reserve) and sugar glider enclosure, for a walk around the Woodlands Reserve to spot for animals and fauna native to the area. This is where the guide points out flora, fauna and the reserve features we learned about in the video. Here we are talking about the dieback fungus, how it is transferred to trees and the phosphite that is used to treat dieback affected trees. The walk takes around 30 minutes and includes some information about the fire that tore through the area in December 2014. This fire burnt through part of the reserve and threatened many of the animals within the reserve. Our guide explained the fire systems that are in place when a fire is threatening and what they do to allow the animals to make their way to safety as best as they can. The area affected by the fire is currently closed and will form part of the walk again once all the repairs are finished. Coming back to where we started our walk it was getting a little darker and so the sugar gliders had come out to feed. 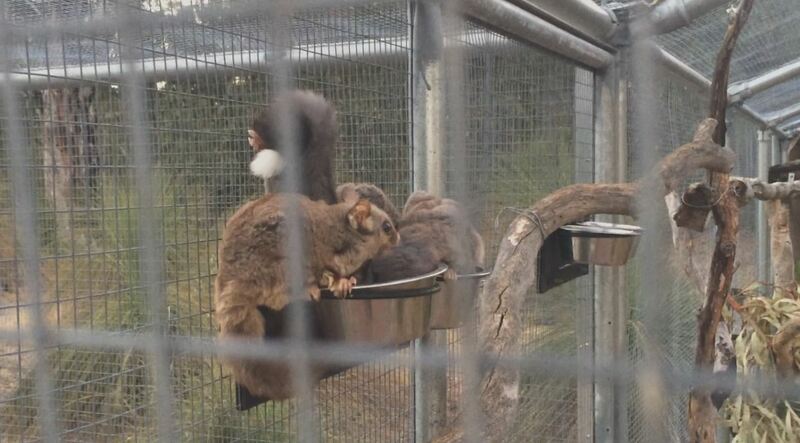 The Tasmanian Sugar Gliders at Whiteman Park are not native to the area. They were destined to be relocated to the Malcolm Douglas Crocodile Park in Broome just before he tragically passed away, and so with no where to go, Whiteman Park put their hand up to home them and they have lived there ever since. Of course the best is saved for last. To finish the tour we were taken inside the soft release enclosure to feed the Wolyie and Quenda their favourite cuisine - peanuts. If you or any of your family do have a peanut allery please be aware of this and let the tour guide know. 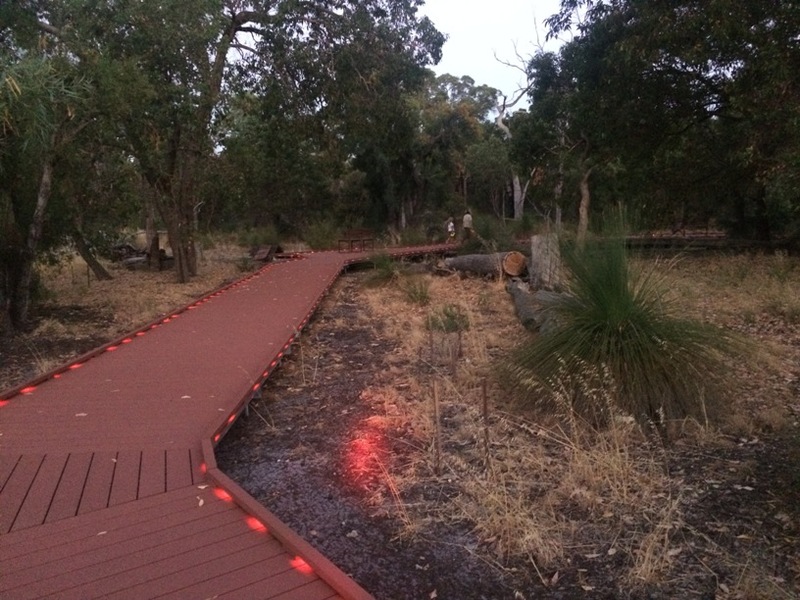 Inside the enclosure is a well lit, circular boardwalk. A handful of peanuts are given to everyone by the tour guide to throw to the Quenda and Woylie and this certainly brings them out of the bushes and their shelters to enjoy their favourite food. 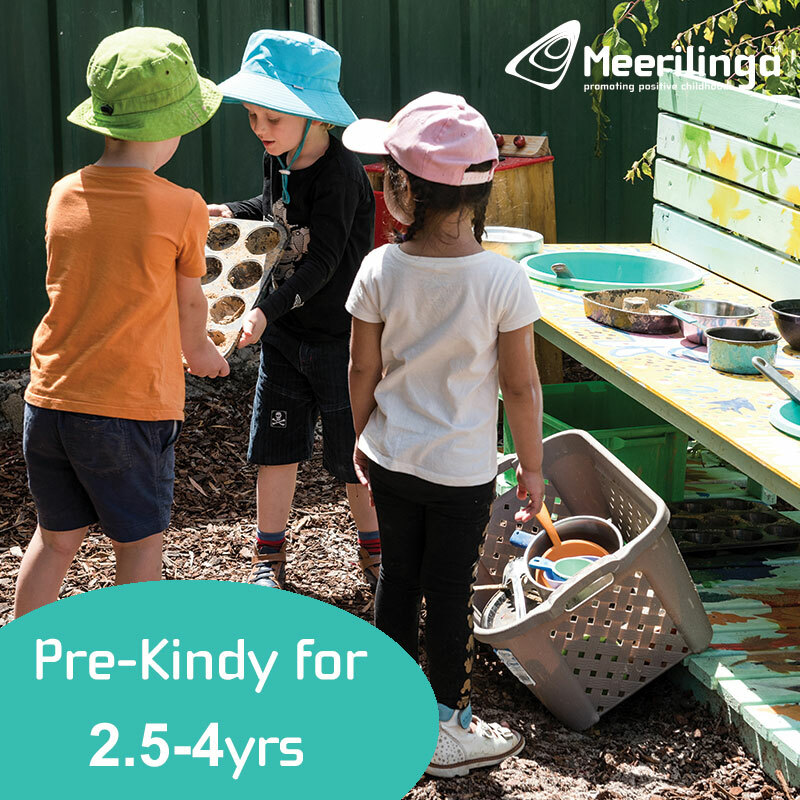 We enjoyed spotting and feeding the Quenda and Woylie for approx 15-20 mins. 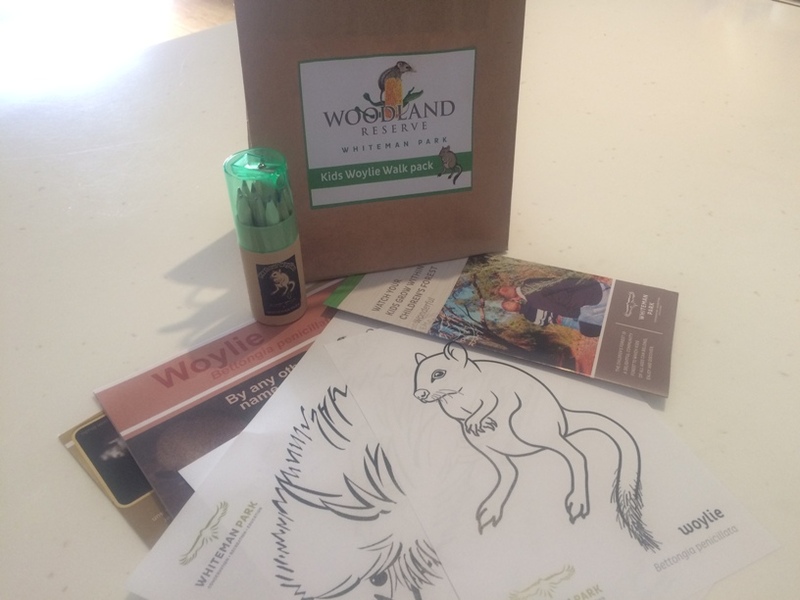 The tour concluded back at the Woodland Interpretive Centre where the kids were asked questions relating to what they had learned on the tour, and each received a Woylie Walk Kids Pack for their answers that included colouring in, pencils, stickers and information sheets. 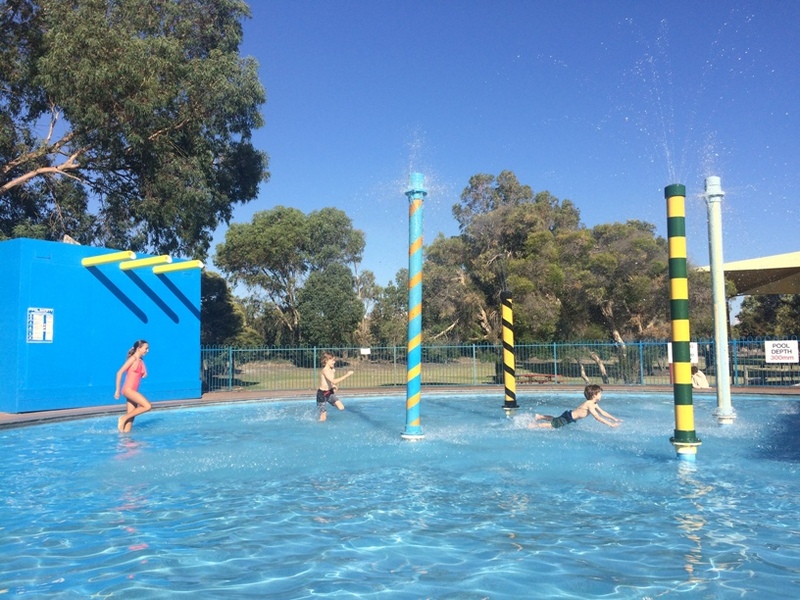 Before the tour we enjoyed a quick splash at the Whiteman Park water playground and we brought along a packed dinner to enjoy by the playground, so you can make an afternoon of it by enjoying some of the attractions at Whiteman Park beforehand. 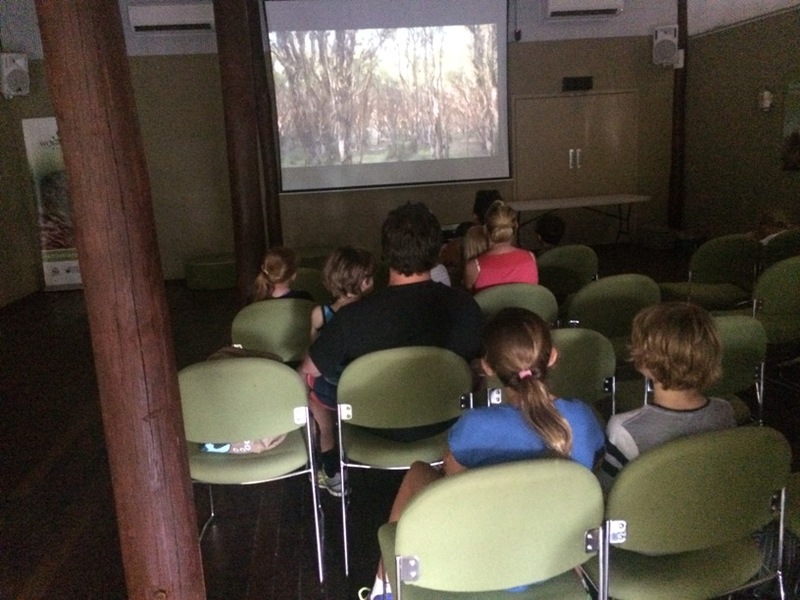 We thoroughly enjoyed the school holidays Kids Woylie Walk, it was great to learn about the Woylie and the other animals at Whiteman Park and the important conservation work that goes on at the Woodlands Reserve. 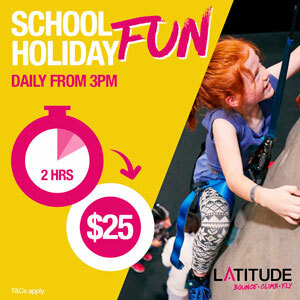 There is quite a bit of walking involved in the tour, kids need to be as quiet as possible to not scare the animals and the tour runs from 7-8.30pm (6-8pm for Kids Woylie Walks) so the tour is recommended for kids 4yrs+. 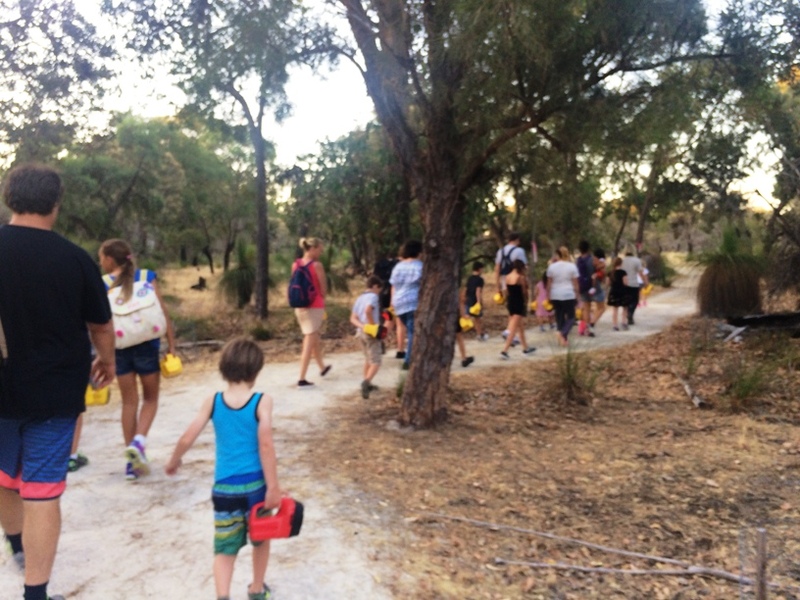 Tickets for the Friday Night Nocturnal Woylie Walk are $20 adults, $15 children or $60 for a family pass (costs vary for the school holiday Kids Woylie Walk). 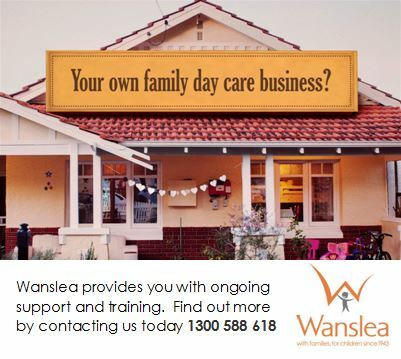 Bookings are essential and you can make a booking by calling Whiteman Park on 9209 6000 and selecting option 2. Safety Considerations: peanuts are handed out to feed the animals, please consider this if you child has a peanut allergy, and let the tour guide know if your child does have a peanut allergy.